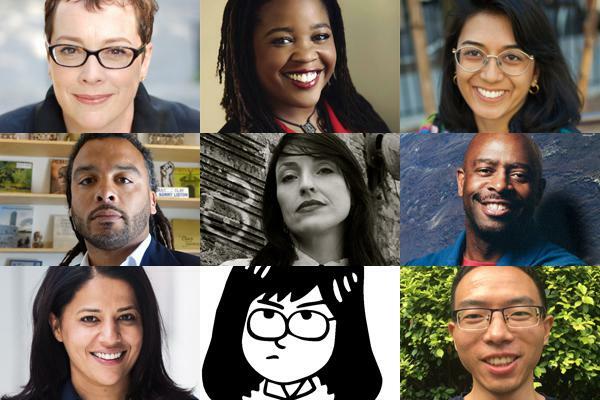 Eleven new Director’s Fellows bring their diverse experiences to a global network empowered by technology created at the MIT Media Lab. When the Director’s Fellows initiative launched in 2013, the goal was to connect people from across the world with the innovation and creativity of the Media Lab. Five years later, this global network now includes 38 current and former Fellows from a range of disciplines—artists and designers, scientists and technologists, advocates and activists, dancers and musicians, writers and comedians, athletes, filmmakers, scientists, and more. Now the 2017 Fellows join the growing group. Get to know the 2017 Director's Fellows in this video, where they share their motivations, their priorities—and their superpowers. Credit: MIT Media Lab. Julia Angwin is a senior reporter at ProPublica. As an investigative journalist at The Wall Street Journal, she was on a team of reporters who won a 2003 Pulitzer Prize in explanatory reporting for coverage of corporate corruption, and in 2011 Angwin led a privacy investigative team that was a Pulitzer finalist. The Newswomen’s Club of New York named her reporter of the year in 2014. Farai Chideya has combined media, technology, and socio-political analysis during her 20-year career as an award-winning author, journalist, professor, and lecturer. She’s currently a Fellow at Harvard University's Shorenstein Center on Media, Politics, and Public Policy, studying newsroom diversity and media coverage of the 2016 election. Kade Crockford is director of the Technology for Liberty program at the ACLU of Massachusetts. She writes, researches, organizes, lobbies, and advocates to ensure privacy and civil liberties law keeps pace with new technologies. Her focus is on how systems of surveillance and control affect not just society in general but also those systems' primary targets, including people of color, Muslims, immigrants, and dissidents. Isha Datar has been a pioneer in the emerging field of cellular agriculture since 2009 when she began investigating the technical challenges and opportunities in producing cultured meat. In her quest to establish the field of animal products made without animals, she discovered that the research was held back—not by a lack of interest or expertise, but by a lack of funding channels for this intersectional work. Andrea Lauer is the founder and chief creative officer of Risen from the Thread, a design-thinking, product development, and innovation agency focused on the human body and its relationship with technology. She lectures at universities and works internationally to produce multi-media experiences with a focus on the human form. Leland Melvin is a former NFL draftee who became an engineer and a NASA astronaut logging more than 565 hours aboard the shuttle Atlantis. Melvin was appointed the head of NASA Education in 2010 and served as co-chair of a White House STEM taskforce. He currently hosts the television series Child Genius and is a judge on the TV series BattleBots. Melvin has just released his new book, Chasing Space: An Astronaut's Story of Grit, Grace, and Second Chances. Bridgit Mendler is a songwriter, recording artist, and actress, entertaining audiences through diverse media and live events around the world. She’s also involved in multiple philanthropic pursuits, including UNICEF and Save the Children, for which she serves as an Artist Ambassador. Jamila Raqib is a nominee for the 2017 Nobel Peace Prize. She’s executive director of the Albert Einstein Institution, which promotes the study and strategic use of nonviolent action worldwide. Her work centers on presenting a pragmatic approach to nonviolent action to activists and organizers, human rights organizations, academics, and government bodies. As a research affiliate at the MIT Media Lab, Raqib has been exploring how innovations in technology and education can contribute to more effective nonviolent strategies. Gavin Zhao has deep experience in supply chain management for startup companies. In 2010, he joined AQS, a firm that provides electronics manufacturing and engineering solutions around the world. Zhao leads strategic planning and specializes in helping suppliers to overcome manufacturing difficulties in new projects. Most of the 2017 Director’s Fellows officially joined the Media Lab on July 19. They did not apply for the program; rather, they were nominated by a network of advisors. Many factors go into the selection process, including all aspects of diversity, each Fellow’s balance with the rest of the cohort, and the impact of their work in the world. What’s pivotal to the program is that the Fellows collaborate both with each other and with Media Lab researchers and students. They get involved in a variety of activities—from leading workshops, to participating in research projects, to advising on students’ theses. And, they often find there’s so much to do that their two-year honorary affiliation extends beyond the time they’re officially part of the Director’s Fellows group. Christine Sun Kim in conversation with Media Lab Director Joi Ito.